The Instituto Guatemalteco de Turismo, INGUAT (English: Guatemalan Institute of Tourism) was established by Decree No. 1701 of Congress, on September 8, 1967. 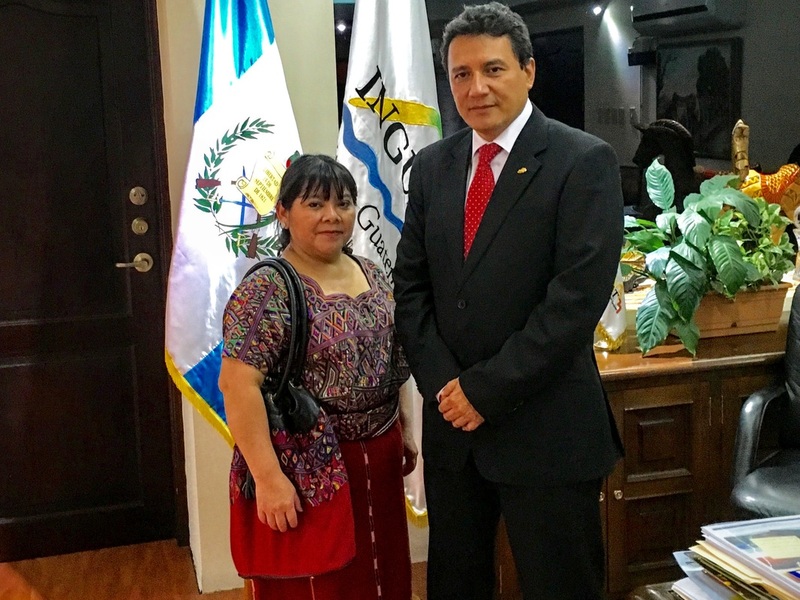 It is an autonomous organization that is part of the Ministerio de Economía (official website: https://es.wikipedia.org/wiki/Instituto_Guatemalteco_de_Turismo)." It seems that some Guatemalan governmental bodies have own flags. At least one of them obviously has. It is the Ministry of Environment and Natural Resources - MARN. It flag is white with coat of arms in the centre, and abbreviation of Ministry is placed under it with green letters.